2018: the year “dad shoes” went mainstream. From Nike’s M2K Tekno to the Puma Thunder Spectra, seemingly every brand threw their hat in the chunky footwear ring — but nobody did it quite like Balenciaga. Their massive Triple-S — a name derived from the triple-stacked midsoles the shoe features — turned heads and ignited a firestorm of controversy around the world with its maximalist design and high price point. Now, the shoe everyone loves to hate (or hates to love) has surfaced in a new royal blue color with orange, black, and red hits plus pre-weathered detailing. The triple sole is on full display with each unit featuring a different color, and the look is rounded out by Balenciaga branding on the midfoot, the shoe’s size embroidered on the toebox, and red squiggly laces. If you’re a proponent of the bulky kicks, they’re available now at Bergdorf Goodman for an upscale price of $895 USD. 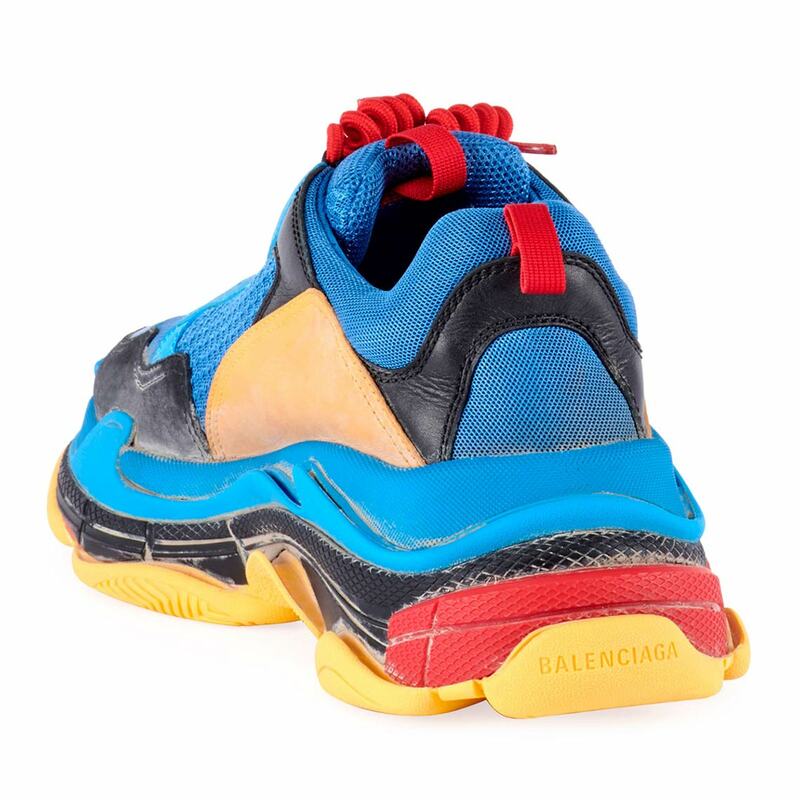 The post The Balenciaga Triple-S Arrives In New Royal Blue Colorway appeared first on Sneaker News.